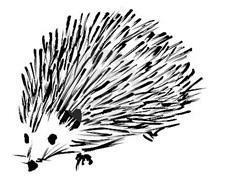 In Hedgehog Class we have an Informal Curriculum split into My Body, My Communication, My Community, My Care and Independence and My Thinking. This curriculum allows us to tailor our timetable and activities to all the needs of our students. Thus enabling us to work closely with physios, OT and Speech and Language colleagues. Our weekly timetable takes into account the importance of postural management for students with PMLD, thereby allowing times for positional mobility and free movement. Art, music and mathematics all come under the umbrella of My Thinking. Learning to communicate, respond, interact, make choices and sensory stories all come under the umbrella of My Communication. Experiencing the school community and the wider community is covered by My Community. Whilst taking care of ourselves and being taken care of by others is done during My Care and Independence. My Body sessions allow time for using postural management equipment such as: standing frames, side lyers, wedges, playpens, etc and for swimming, rebound therapy, tacpac, senseology and intensive interaction. Throughout the day, students in Hedgehog Class will use a variety of equipment - home chairs, school chairs, postural management equipment, P-Pods and beanbags. As always we will be following a very sensory curriculum adapted to suit our abilities and capabilities. Music takes place Thursday morning. Rebound therapy takes place Thursday morning. Swimming takes place on Tuesday morning. Food Tech takes place on a Thursday afternoon. Please feel free to contact me through the school office with any queries or concerns, or feel free to pop by just to say hello! As a class, we usually use certain songs for different days of the week! We decided that this term, we would make a music video to accompany new music to make it more FUN and EXCITING for when we come into school each day..